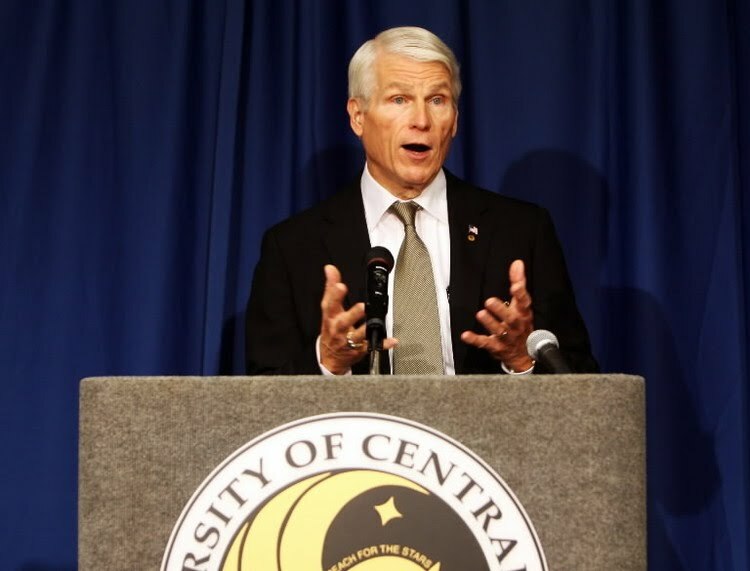 University of Central Florida President John Hitt had his contract confirmed for another year Thursday morning by the Florida Board of Governors, but not without public criticism by Knight News’ lawyer. Hitt, who has UCF’s president since 1992, was then confirmed without any questions directed to Marchena. However, his confirmation was not without public comment. Justin Hemlepp, who has represented Knight News in its legal battles against UCF, discussed before the vote what he called “a stain on Dr. Hitt’s legacy.” While he did recognize to the board that “a young state university has become one of the largest and most successful institutions of higher learning on the planet” with Hitt at the helm — and noted the creation of UCF’s medical school and the construction of the downtown campus as key accomplishments — Hemlepp took aim at UCF’s lack of transparency and its battles with the press. Hemlepp was referring to Knight News’ numerous lawsuits against UCF for allegedly violating transparency laws, particularly one that was brought last year after Jacob Millich, an SGA senator, was kicked off the presidential ballot last year in a closed disciplinary hearing. 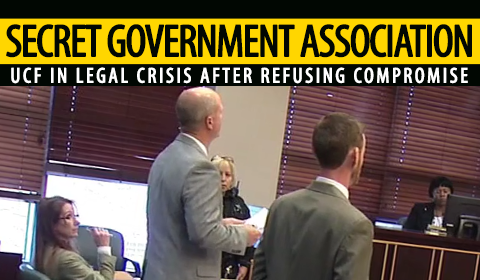 Knight News has argued that FERPA, a law that protects information like grades and SAT scores, cannot be used to conceal the names of student government members when used in the context of their official capacity. In the case involving Millich, Hemlepp requested to UCF’s legal team to depose Hitt to discover details related to a scandal in the 1990s in which he unilaterally shut down student government over its leaders’ questionable spending of public funds and required that they adopt transparency measures and audits. 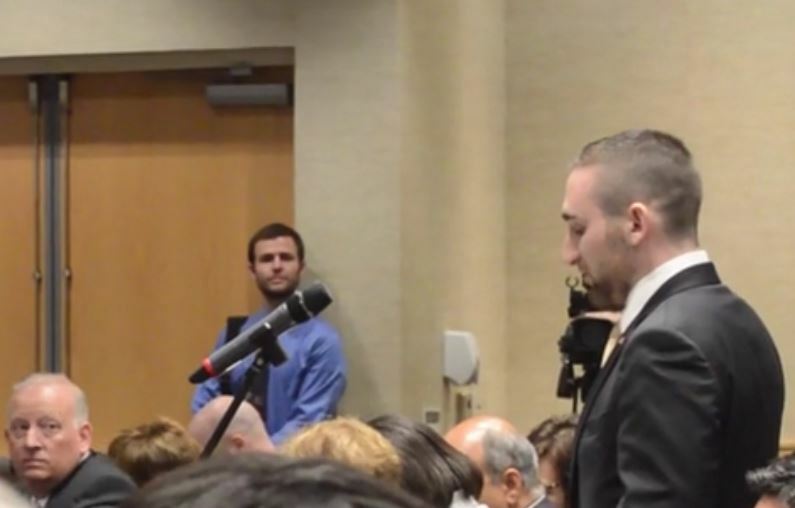 UCF’s response, according to Hemlepp in his comments to the board, was that Hitt “has no unique knowledge about the underlying facts” as to the recent rollbacks of SGA transparency measures. “Apparently, at UCF, the deputies are running the show,” Hemlepp said. On Tuesday, Knight News reported that an appellate judge ruled in a separate case against UCF’s defense of using FERPA to redact SGA officials’ names from budget documents, and required that unredacted copies be provided. “I ask this board to consider open government when voting to affirm Dr. Hitt’s contract and that this board encourage Dr. Hitt to take a more active role in developing a positive relationship between UCF’s student press, administration, and student government and to foster a culture of transparency,” Hemlepp said in closing. Chad Binette, a UCF spokesman, did not respond to a request for comment about Hitt’s confirmation or Hemlepp’s public statements. Judge Janet C. Thorpe Makes 1st Ruling in Milich vs. UCF, Ehasz, Zona, Et Al.